The Supermarine Seafire was developed to meet Specification N.7/44 for a fighter bomber to be used on the Royal Navy's aircraft carriers, they were navelised by the addition of an arrestor hook, and on later variants folding wings. The Supermarine Seafire F17 (Supermarine Seafire F XVII) was powered by the Rolls-Royce Griffin engine, it incorporated a new strengthened undercarriage and main spar to help resolve landing problems which had been prevalent on it's predecessor, production commenced in 1945 but it did not enter operational service until after WWII had ended. The Supermarine Seafire F17 (XVII) was based on the existing Seafire XV which had been based on the RAF's Supermarine Spitfire XII, the main differences being an improved undercarriage, an additional 33 gallon fuel tank fitted in the rear fuselage, and on most aircraft produced, a high visibility teardrop canopy with a cut down rear fuselage as depicted in the above picture, it retained the folding wings of the Seafire XV. The Supermarine Seafire was withdrawn from front-line service with the Royal Navy's Fleet Air Arm in 1951 but remained in service with RN reserve squadrons until November 1954 when 764 NAS retired it's Seafire F17 fighters, in consequence the Supermarine Seafire F17 was the last Seafire variant to serve with the Royal Navy Air Service . 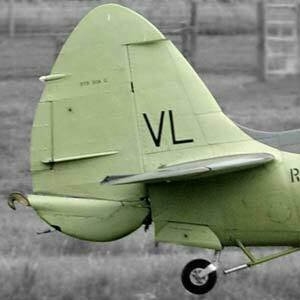 It is of note that a small number of photo-reconnaissance Seafire F17 fighters were produced and were designated the FR.XVII, these had their rear fuselage fuel tank replaced with two F.24 cameras, one vertical and one oblique. As can be seen on the picture to the left, the arrestor hook on the Supermarine Seafire F XVII (F 17) is unusual, it is faired-in to effectively become part of the rudder. The frame in front of the tail wheel was intended to deflect the arresting wire downwards to ensure it cleared the tail-wheel, without this the tail wheel could easily be torn off by the arresting wire and the Supermarine Seafire and it's unfortunate pilot end up in the sea! This picture of Supermarine Seafire F17 is Copyright © June 2014 Siteseen Ltd. We only authorise non-commercial picture use and particularly encourage their use for educational purposes. This Supermarine Seafire F17 picture is not in the Public Domain. 1) Siteseen Ltd. must be credited as the copyright holders wherever our copyrighted pictures or content are used. 2) For internet use, no more than three individual pictures shall be used on any given URL or website and a link back to this site must be provided. 3) Use of this Supermarine Seafire F17 picture, or any of our pictures on websites re-distributing copyright free material is strictly prohibited.